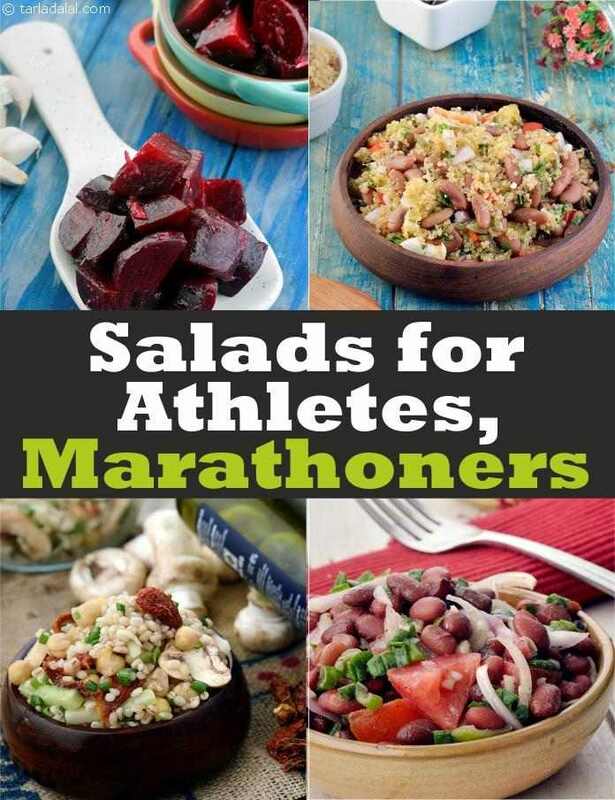 We have used the best ingredients in making these tasty and fabulous salads which will give you energy all day and keep you full as you are going to consume some good fat. Use olive oil or extra virgin olive oil in all your salads as its very healthy. Those who are slightly overweight should cut out a bit of the fat from the salads like drop avocado and feta cheese and the rest should be fine. Remember all these recipes have good ingredients and devoid of sugar, corn, potatoes, salad oil. So go on and enjoy our salads. Healthy Salads you must try. The usage of avocado and feta in salads should be in abundance as they are healthy for you. Feta is goat cheese which is healthy as it has no lactose and we love the Avocado and Feta Mash. Chick peas and barley are again awesome ingredients for a salad. Barley is a whole grain which does not shoot up your Glycemic Index while Chick Peas is a super food and we suugest a must try of Chick Pea, Mushroom and Barley Salad with Balsamic Dressing. Grapefruit, peanut and coconut are again super foods for weight loss. Sweeten this with honey and you have a healthy Grapefruit, Coconut and Peanut Salad . Try Three Bean Salad, Good For A Healthy Diet, For Athletes, Runners as the beans are high in protein and fibre and low in calorie. Addition of lemon juice provides the Vitamin C and improves the absorption from iron from beans.